Magaidou (マガイドウ) is a company that produces gashapon for capsule toy vending machines. 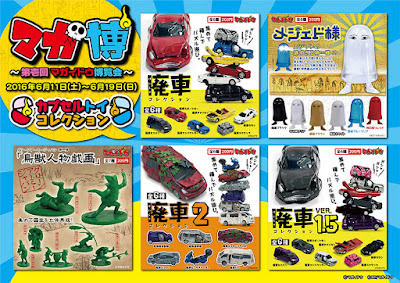 Some of their more popular lines include junkyard cars [trains, ships, spaceships...], Medjed, and figures made in the style of green plastic army men. Their first set from the Green Army Japan (グリーンアーミージャパン) series was of figures taken from Chōjū-giga, while their second set was of a sankin-kōtai entourage (daimyō-gyōretsu; 参勤交代). Sankin-kōtai (参勤交代) was a custom imposed upon feudal lords during the Tokugawa shogunate as a means to reduce their economic power. What caught my attention about these figures when I saw them in Tokyo recently, was that they were 1/72 scale. 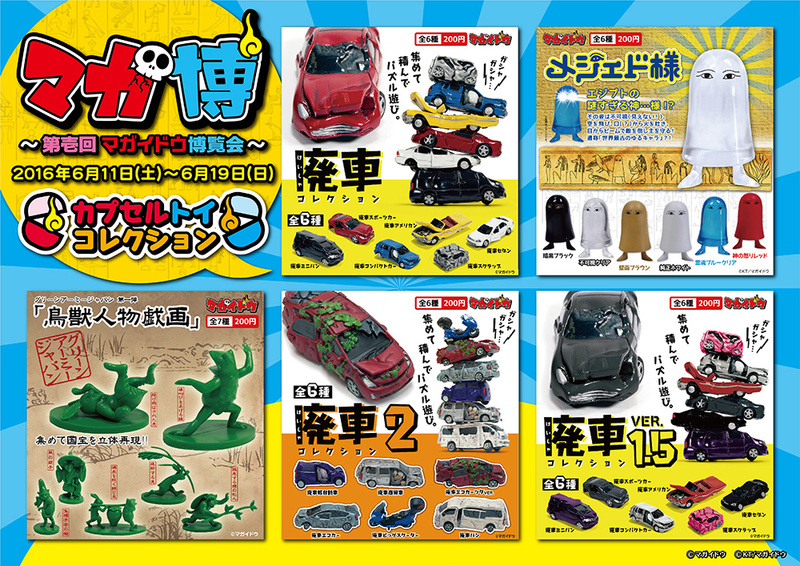 The figures came out in 2016, so I didn't see them in any of the gashapon machines that I encountered, but they are available from a number of different shops selling gashapon toys. The original price for one capsule containing two figures was ￥200, which is about how much I paid for them. Later, I found places on the internet selling them for under ￥800 for a complete set (before shipping). The first two sets consist of peasant siblings and a dandy (百姓姉弟＆伊達男), and a lantern [carrier] and spear bearer (提灯＆槍持ち). The third, fifth, and sixth sets consist of a standard [bearer] and archer (大羽車＆弓組み), a foot soldier and musketeer (御徒歩＆鉄砲組み), and a spearman and parasol [carrier] (長槍＆大羽車). The seventh and eighth sets are of a forward attendant  and chest [porter] (先祓い＆挟箱), and a three part palanquin (bearing lord) (御籠（殿様)). I was unable to find the senior retainer and horse set (御家老＆馬セット) to complete the entire series. The figures are made of PVC and are definitely toy-like. The sculpting is very basic, with thick, over scale weapons and accouterments. 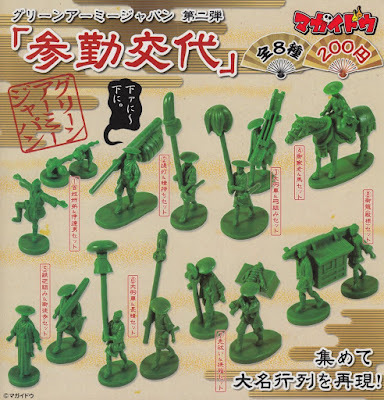 However, I think this is understandable, since they were made to represent green army man figures. Here's a Japanese video review that give a closer look at the full set of figures. The word used here is yarimochi, which translates as spear carrier, but I think that he is actually carrying a naginata, so the term may be more generic for soldiers with polearms. The word used here is ōhaguruma（おおはぐるま) daihaguruma (?). I don't think the Japanese reviewer in the video is even super sure of this kanji reading. The only definition that I was able to find of the word [haguruma] stated that it is a portable shrine similar to a mikoshi, which these are obviously not. I called one of the ōhaguruma a standard, though I think its a big bunch of feathers, and the other one a parasol, though it's some sort of dome-shaped item wrapped in a cloth. For various reasons, 2017 has resulted in my lowest post output by far. Still, as of today, the blog has received enough traffic to reach 500,000 hits. 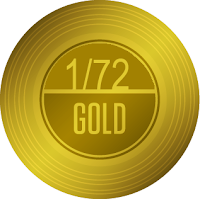 Thanks to everyone who has been reading my blog, and to those who've corresponded with me. I apologize for not always being able to respond as I would like to, but events of the past year really took away a lot of my free time. I was able to get away for a couple of weeks at the end of the year, and now I'm back and ready to write more articles on our favorite scale.